Russ takes you deep inside the revolutionary iZotope Iris virtual synth plug-in. Unlike other synthesis types, iZotope has created something very special and this series will teach you the ins and outs of the unbelievable new technology. With an in-depth overview and then how to navigate the plug-in. Next he covers Global menus, options, controls and parameters, breaking them all down so you can easily understand them. He then goes over the different tools and synth functions and features. He wraps up the series with automation techniques, saving and exporting files and creating a whole bunch of cool sounds! If you’re excited about using iZotope Iris, this series is a must see…It will get you going quickly and show you all of its features and functions, as well as creative uses. 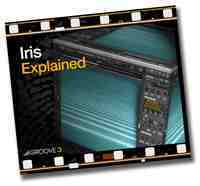 Learn to see your sounds with Iris… Watch “Iris Explained” today.